Save on your next flight from CEM to DUJ when you book through Travelocity. Need a last-minute flight to DuBois? Travelocity offers discount airfare no matter when you book, even on popular routes such as Central Airport to DuBois Regional Airport. Whether you need a direct or indirect flight, you can trust Travelocity to provide you with the best prices for CEM to DUJ flights. Explore DuBois with Travelocity's Travel Guides to find the best flights, cars, vacation packages and more! Situated in a rural location, this hotel is 2.2 mi (3.6 km) from Dubois Country Club and 2.4 mi (3.9 km) from Dubois Area Historical Society. DuBois Mall and Sandy Township Recreational Park are also within 6 mi (10 km). Situated in DuBois, this hotel is 2.2 mi (3.5 km) from Dubois Country Club and 2.4 mi (3.9 km) from Dubois Area Historical Society. Laurel Mountain Vineyard and DuBois Mall are also within 6 mi (10 km). 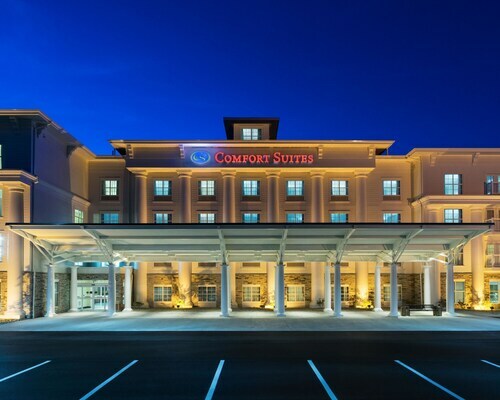 This family-friendly DuBois hotel is located near the airport, within 3 mi (5 km) of Dubois Country Club, DuBois Mall and Sandy Township Recreational Park. Laurel Mountain Vineyard and Evergreen Valley Vineyards are also within 12 mi (20 km). Situated in a rural location, this property is 4.7 mi (7.6 km) from Jefferson County History Center and within 20 mi (32 km) of Clear Creek State Park and Laurel Mountain Vineyard. Cook Forest State Park (Office) and Scottish Heights Golf Club are also within 25 mi (40 km).